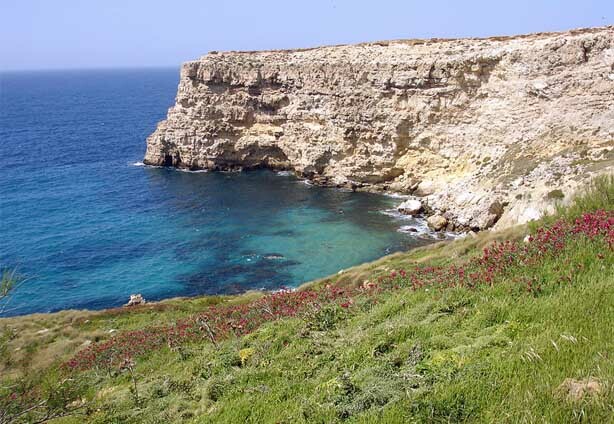 Malta’s largest protected natural landscape, the Majjistral Park, was born out of some initial controversy after plans to turn the area into a golf course in 2005 met with heavy environmental opposition. 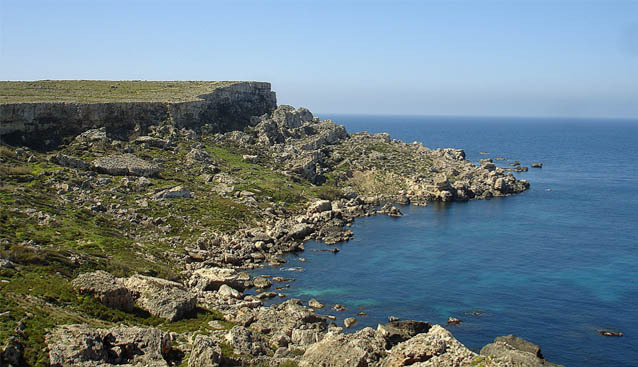 The very proposal inadvertently served to highlight the site’s great natural beauty and rich biodiversity, and after two years the authorities had a change of mind and the area was surprisingly turned into Malta’s first official national park. In retrospect it was a very wise decision. An area measuring around six times the size of Valletta was spared any further degradation or development speculation for (one hopes) all time. The Majjistral Nature and History Park, to give it its full name, stretches from the northern edge of Golden Bay up to Anchor Bay – its boundary stopping just short of Popeye Village. It contains one of Malta’s largest garigues as well as examples of other natural habitats: clay slopes, maquis, grasslands and dramatic boulder screes all along the coast. The park’s biodiversity is impressive – over 400 species of plants are recorded from the area – that’s nearly half of the species growing naturally in the Islands. Seventeen of the plant species in the park are endemic – meaning they are naturally present in Malta and nowhere else worldwide. The park is best appreciated from October to June – outside these months the heat takes its toll on both visitors and nature in general since the summer torpor demands that plant life in particular goes into aestivation – summer dormition that is. Entrance to the park is free and the best way to appreciate the place is probably a long walk along the cliff edges with the intriguing boulder fields and clay slopes below and the blue Mediterranean stretching out endlessly beyond. It’s another Malta altogether; silent, frequently windswept and majestically lonesome. Needless to say in a construction-mad island like Malta there are also a few structures here and there but these are mostly old rural buildings. Towards the south of the park there is a ruined farmhouse which is being lovingly restored and there are also some fine specimens of the rural “girna” scattered here and there. 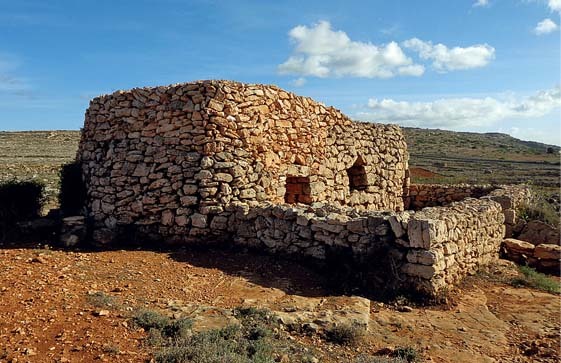 The girna is a purely Maltese structure of unknown antiquity – a rounded stone corbelled hut constructed totally without any use of mortar and probably used either for shelter or storage. Examples of prehistoric cart ruts are also present here and there. There are also a couple of World War II pillboxes and a newly restored hunting tower towards the north of the park. Grab a map of the site with suggested walking routes at the park’s new interactive information centre. Better still book a walking tour of the park to really appreciate and understand more of this great natural attraction – built and sculpted by nature over the millennia and now lovingly taken care of. Click here for the Majjistral website and more information.